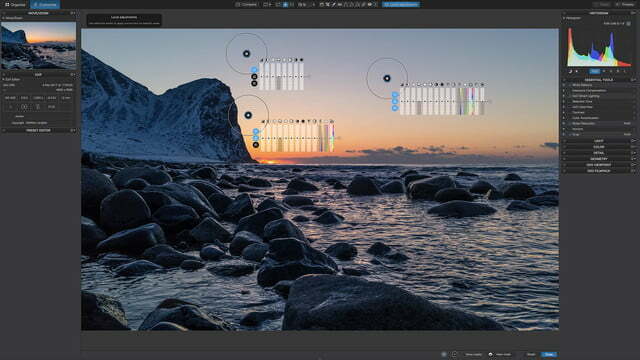 The Nik Collection is no longer nixed — on Wednesday, June 6, DxO Labs launched the Nik Collection 2018 by DxO, a bug-squashing and compatibility update for the Photoshop and Lightroom plug-ins long favorited by photographers. Several of the Nik features are also migrating into DxO PhotoLab, which also sees an update today as version 1.2 adds U-Point technology for local adjustments. Both updates come as DxO Labs faces bankruptcy and refocuses the company on four software programs while discontinuing the DxO One camera. The company says it expects to leave bankruptcy in a few months after refocusing on the software and reorganizing the company. The update doesn’t exactly add anything new to the Nik collection, but it does bring the set of seven plug-ins back from the dead. Google originally acquired the Nik Collection in 2012 with the purchase of Nik Software, the company also behind Snapseed. But after making the plug-ins free in 2016, Google stopped updating them. The company announced the end of the Nik collection last year, when the plug-ins, at the time, were already no longer fully compatible with Photoshop. DxO Labs stepped in to save the plug-ins by purchasing the collection from Google, then spent six months updating code that hadn’t been touched in years. 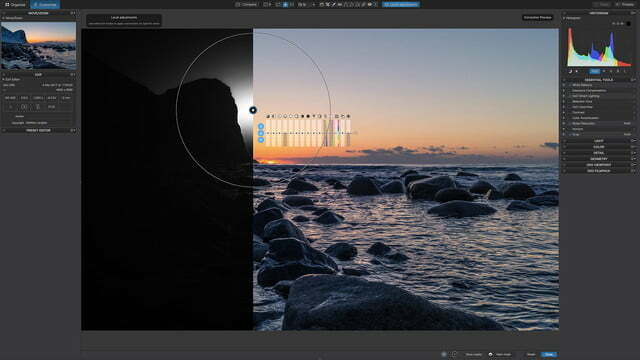 Photographers who have worked with Nik before won’t notice any new tools, but the plug-ins are now fully compatible with the latest version of Adobe Photoshop, Lightroom, and Photoshop Elements running in current operating systems. Customers also get support in four different languages on DxO’s website for the Nik Collection. The support area is also slated to expand with tutorials on using the plug-ins. DxO Labs won’t continue to focus on minor compatibility updates, however. The team says that, now that the plug-ins are once again compatible, DxO is welcoming feedback from users. The compatibility update is only the first stage and the team expects to broaden the plug-ins in the future. If there is a downside to the Nik Collection coming back to life, it’s that the plug-ins are being offered once again as paid downloads. The entire set of seven plug-ins will retail for $69, with a $19 discount for the launch valid until July 1. That is a steep drop from the original $500 cost for the entire set, which Google later dropped to $150 before making it free. DxO Labs is also integrating some of the technology into the company’s original software. DxO Photo Lab 1.2 now includes U Point technology — inherited from the Nik collection — along with a handful of other new features. U Point is a type of local adjustment that only affects a portion of the image rather than the image as a whole. The edit is non-destructive when working with a RAW file, which means any changes can be undone or tweaked later. With U Point, photo editors place a point on the image, then use a menu off that point to make specific adjustments only to that area. The three-section menu controls local adjustments like exposure and contrast, but the U Point menu can also be customized to see specific local controls. 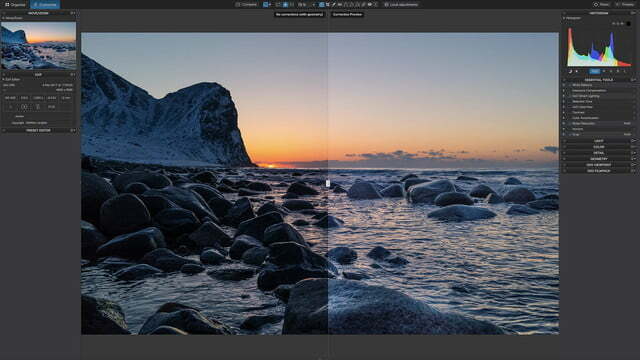 The photo editor also now has HSL — hue, saturation, and luminance — adjustments, along with Selective Tone, a tool designed specifically to aid in recovering highlights and shadows that are too bright or too dark, respectively. The updated app now also reorganizes local settings by light, color, and detail. New cameras are also supported, including the Panasonic G9, TZ90, and GF9; the Canon EOS Rebel T7; and the iPhone 8 Plus and iPhone X. The update is free for existing DxO Photo Lab users, while new users can try a 30-day trial or purchase the software for $129 for the Essential version or $199 for the Elite version. We've seen a relatively large influx of new consoles in the last couple of years, including the Nintendo Switch and Xbox One X, so we've updated our recommendations for the best dedicated game hardware.